Does The Portable Design Of The Beurer TL55 SAD Lamp Work? There is the clear sense that the designers of the Beurer TL55 SAD Lamp wanted to do something a little different. There are some basic features that go into most typical SAD lamps – a white bulb, portable shape and just enough settings without getting confusing. This one goes a step further by adding a cordless function and a “Night Light”. The idea here is that this should be a more user-friendly and more functional option. But, is this really the case? Is There Enough To The Beurer TL40 Daylight Lamp For SAD Therapy? There are many SAD light therapy devices that try to be sleek and minimal to appeal to users, but this Beurer TL40 Daylight Lamp goes to an extreme. First glances at the sales photos suggest that there is nothing to this system at all. there is just the light and a button at the bottom. The shape is attractive enough, and the specification suggests a great session. Still, there isn’t much in the way of features. Does this SAD lamp do enough to help users, or are there hidden issues? 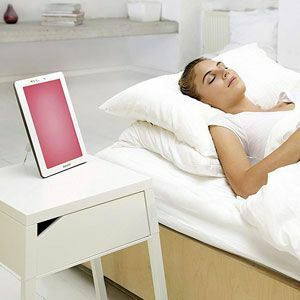 Is The Beurer TL100 2in1 Daylight and Mood Lamp Truly Multifunctional? The Beurer TL100 2 in 1 Daylight and Mood Lamp is yet enough high-lux SAD light that is a certified grade II medical product. This means that it has potential for mood and sleep disorders during the winter months. The added bonus with this option is that it is both a daylight and mood lamp for dual functionality. Furthermore, there is an app for greater personalisation. There is a lot to keep users interested here, but does the light work? Is The Medically-Approved Beurer TL90 Daylight Lamp As Helpful As Buyers Hope? 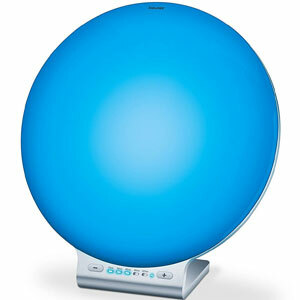 Light therapy devices like the Beurer TL90 Daylight Lamp are a must for anyone that suffers with SAD and other related mood disorders. This set-up looks like a simple, functional option for new users with its large, curved screen, simple controls and tilting stand. It also promises a strong, consistent light source up to 10,000 lux. In theory, this should be a helpful tool in the home of office for effective sessions. Is this the case or is there something missing with this daylight lamp?